Summer is the best time to frolic at the beach, spend some leisure time under the sun, explore the wonders of the seaor travel tonew and amazing destinations. Keep track of your wild summer exploits with a watch from the TechnoMarine’s Cruise Night Vision collection. 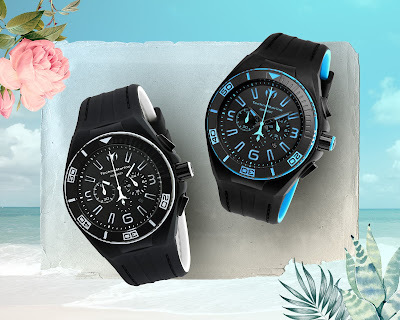 The perfect watch for deepand dynamic adventures, the Cruise Night Vision is skillfully crafted for any activity in both land and sea.It has a super luminous feature on its indices and hands to allow the wearer to tell the time even underwater. Water resistant for up to 200meters, it is suitable for various underwater escapades including recreational scuba diving. The Cruise Night Vision is stylish and easy to wear. Defined by bold and vibrant colors, thetimepiece has silicone straps, metal dial and a secure buckle clasp. It comes ina sleek 46mm stainless steelcase with silicone cover. Surely, with TechnoMarine, you can enjoy an early summer filled with wild, fun, and exciting adventures. For more information, visit https://www.technomarine.com/ or visit TechnoMarine stores in Greenbelt 3, Robinson’s Galleria, Robinson’s Magnolia, Shangri-La Plaza, SM City Cebu, SM Lanang Premier Davao, SM Mall of Asia, SM Megamall, TriNoma, SM North Edsa.